Ok, sometimes you need things … I am serious when I say need. 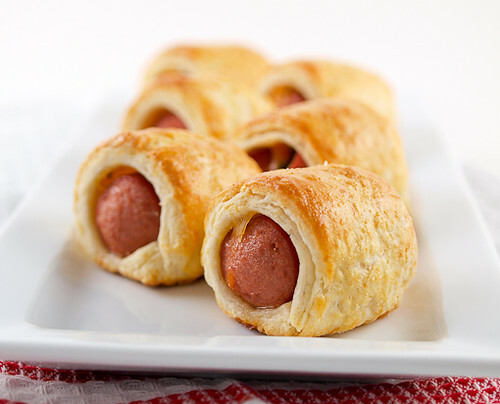 A few days ago I was discussing pigs in blankets with some friends on the Twitter. 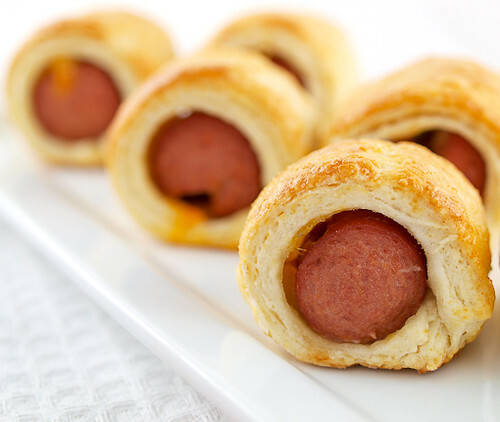 It became apparent to me that, despite our love of the finer things, a good old-fashioned pig in a blanket could reduce us to children. Happy, and often naughty, children. (Linda, I’m looking at you!) When a desire strikes, who am I to say no? 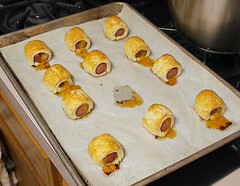 My little piggies, all natural beef hot dogs if you please, are wrapped in tender, flaky buttermilk biscuit blankets. I also cut a little slit in each piggie and stuffed it to the brim with a mixture of shredded sharp cheddar cheese, smoked paprika, and minced fresh jalapeno. 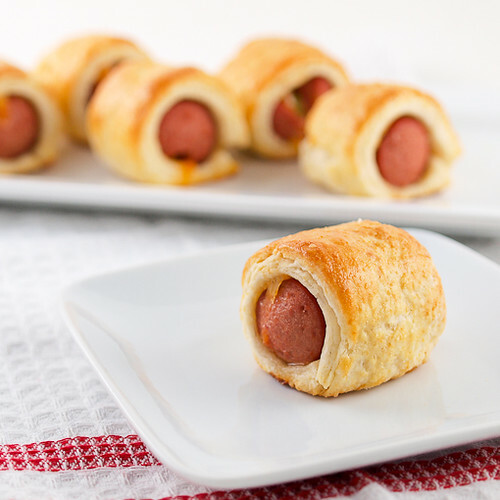 These would make an excellent party snack, or dare I say football watching munchies, that I suspect would vanish within moments. I can’t help but think these would be superb with a cold beer. 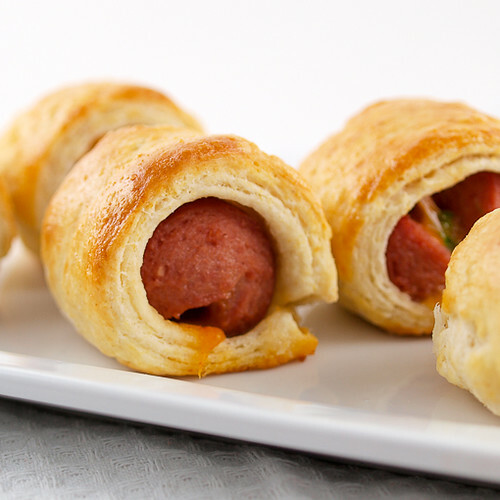 Seriously, unless you are a vegetarian (and I know they make veggie dogs), you should really make these! 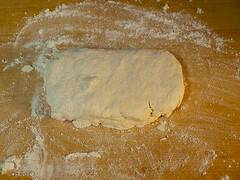 Heat the oven to 375 F and line a baking sheet with parchment. 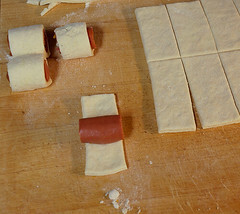 Pat the hot dogs dry with a towel and slice into thirds. 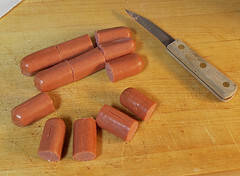 With a paring knife cut a small slit into each dog, making sure not to cut all the way through. 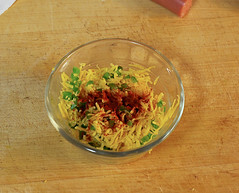 In a small bowl combine the cheese, paprika, and jalapenos. 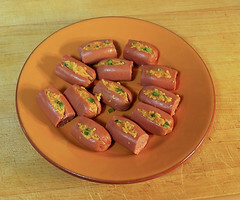 Stuff each hot dog with the cheese mixture. 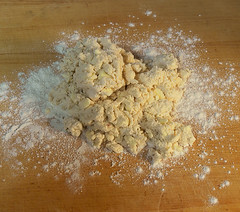 Cover and chill while you prepare the biscuits. 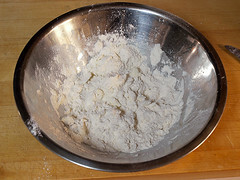 In a large bowl sift together the flour, salt, sugar, and baking powder. 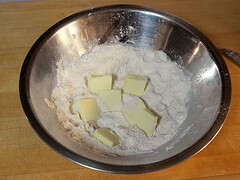 Add the chilled butter and rub it in, using your fingers, until the butter is pea sized. 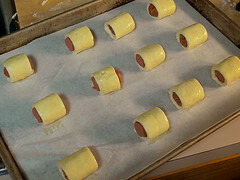 Wrap each dog in the dough and pinch the seams closed. 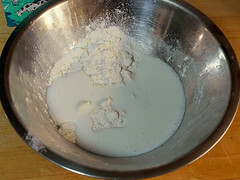 Place on the prepared baking sheet and brush with the beaten egg. 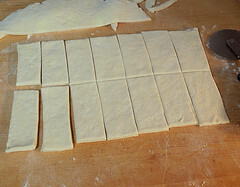 Bake for 15 – 20 minutes, or until they are golden brown and puffed. Cool for five minutes before serving.